Aortic angiography is also known as an angiogram. It is a medical investigation whose aim is to check for the presence of defects or any functional abnormality in the aorta. The aorta is the biggest artery in the body. 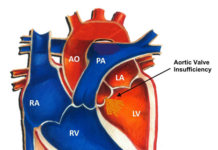 It originates in the left ventricle of the heart and extends to the abdominal region. It functions to supply oxygen-rich blood to the entire body. In the course of carrying out this test, the doctor injects a dye into the aorta. This dye makes it visible when an X-ray is used to visualize it thereby detecting possible anomalies with the aorta. Why is an aortic angiography done? Angiograms are usually done following other non-invasive tests such as computed tomographic scans, magnetic resonance imaging or ultra sound scans. Prior to performing the test, the doctor conducts a complete general physical and systemic examinations. He checks the blood pressure and other vital signs. Be sure to relay to the doctor all drugs and supplements you are on including those bought over-the-counter or prescription-only medicines. The test usually requires the individual to fast for 12 hours before the procedure. The doctor will advise you to limit the intake of fluids and cessation of intake of drugs that interfere with the coagulation of blood. Because this test may cause a significant amount of pain, the doctor or nurse will administer sedatives or even intravenous anesthesia. Pain relievers are administered to the incision site where the catheter will be inserted and this point located on the groin. You will mostly be awake when the procedure is being carried out. This test involves the injection of a dye by a doctor into the arteries to enable visualization by X-ray. A small cut is being made in the groin and a plastic tube of small length inserted to keep the cut open. 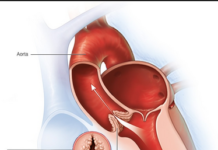 A catheter or tube is then inserted via this hole and advanced through the arteries to the aorta. 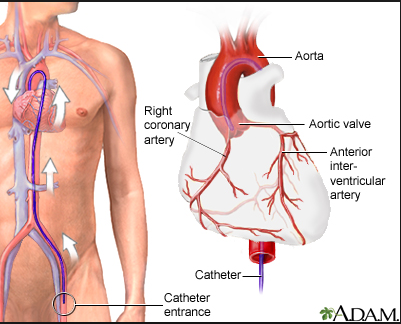 Pain is absent during insertion of catheter, this is because arteries do not have nerve endings. 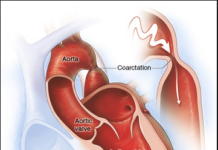 When the right site in the aorta is reached, the dye is instilled through the catheter while the doctor monitors its circulation through the arteries on X-ray, checking for any aortic blockade, aortic changes or abnormality in blood flow. The duration taken to perform an angiography is about one hour. Apply pressure to the incision point upon removal of the catheter to avoid excess bleeding. A bandage will also be applied to the site. Another way to prevent bleeding is by lying flat. The patient is transferred to another room to recover. Close monitoring to pick up any complications and giving a liberal amount of fluids to increase dye exit from the body is advised. The procedure may be conducted as a day case where the patient is free to go home within a few hours after the test was performed. Hospital stay is only indicated where a complication occurred though complications are not common with this procedure. Proper wound care for the incision site is advised and any further care you need to carry out will be disclosed by the doctor. 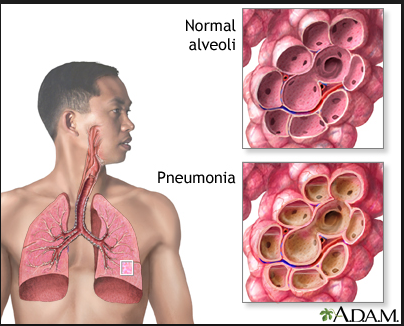 Bleeding and infection emanating from the infection sites are usual complications of the test. Stay away from driving or carrying heavy loads for some days. Recovery is usually fast and one soon resumes routine activities.